Pieces of The Heart is about families, friendships, romances and just plain everyday life. Life is certainly not easy for Cordelia, Bernard, Charles, Anna, Emmanuel and his wife nor for Gertie. It's hard work in a factory where a woman might face harassment. It's striving to have faith when God's face and voice seem faraway or not real. It's going to war as a whole man and coming back lost to oneself and to all the people who ever loved you. It's about forgiveness.Stepping into forgiveness doesn't happen at the same time for the people involved. I might forgive a person knowing it's hurting me more than it's hurting them. That doesn't mean the person whom I hurt will jump straight up and hug me and accept my forgiveness. It's about patience when you're not sure whether this is the night the one you love will strike with his tongue or his fist. It's also about the people who love us. Love knows no age. The elders in a family love just as hard as the young ones in the family. Like Grammy who has learned through many years of living not to give up on people or on prayer. I suppose Grammy taught me more than any other character in the novel. She quietly quilted her Pinecone quilt. She covered each patch with a prayer for those in her family who needed God so much. Grammy was Cordelia's anchor. 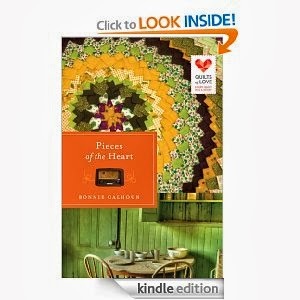 One of the saddest parts of the novel, Pieces of The Heart by Bonnie Calhoun is Grammy's death. It's an unforgettable time when Cordelia finds her Grammy in her rocker. One hand holds a patch of blue fabric. The other hand holds a threaded needle. She is seated in her rocker. Cordelia thought she couldn't live without Grammy. However, Grammy had been teaching Cordelia how to live without her for a long time. Cordelia pulled these Holy treasures out when the most difficult of times entered her life. The quilt became a legacy from Grammy to Cordelia which would lead her down crooked and forked paths. Most of all this is a story of love. Not just family love and man and woman love but love for our fellowman. During WWII African American soldiers discovered that place makes no difference as far as racial prejudice is concerned. These men suffered at home on America soil. Then, they suffered more across the sea in France and other countries. 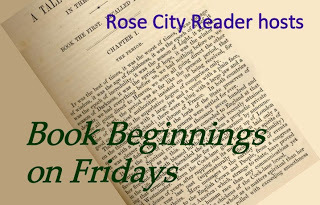 There is an underlying message about racial hatred in the novel. Man must learn to love one another. It is important to realize the color of skin is not there to put man in a locked box of inferiority. If a man is boxed in and never allowed freedom, he will struggle and fight to gain breathing room, space to grow and become one with other people. It's just impossible to live with hate in a heart instead of love. It will twist and knot us up like a severe stomach cramp. Also, the broken man takes the brokenness wherever he goes even into the place where love is thriving. It's sad to think hate is so strong. Hate has power. Love has power too. I guess there is the need to let go of the hate before love can work it's power. There is much in the novel about prayer. Perhaps, asking God for His Love is the first step down the road away from hatred.